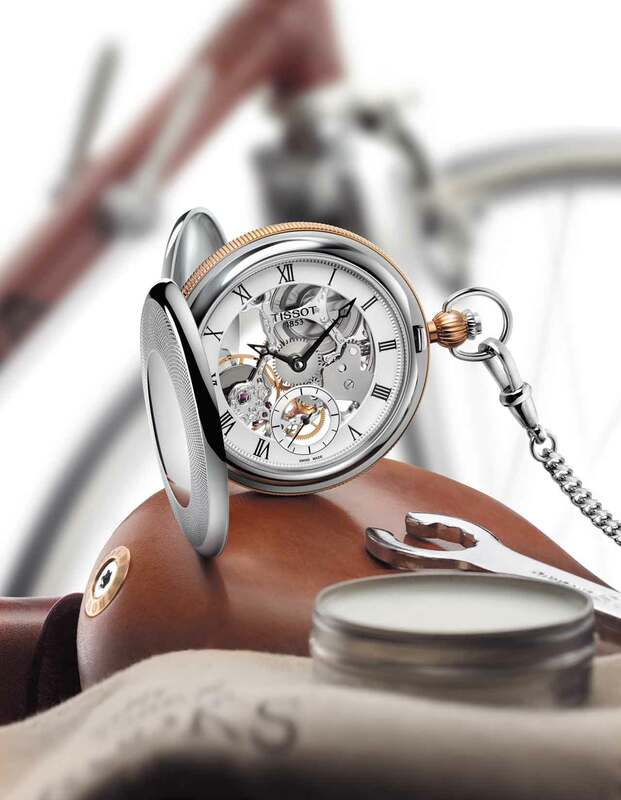 Tradition has always been cherished by Tissot and pocket watches are a part of it. Tissot’s heritage is showcased through these beautiful timepieces. The Tissot Bridgeport Collection was therefore incomplete without the Tissot Bridgeport Mechanical Skeleton. Its Automatic family trait is recognised in the small flutes around the case which gives it an undeniable richness. Tissot is an innovator by tradition. That part of the DNA is inevitable. Even though its heritage speaks out the loudest in the Tissot Bridgeport Mechanical Skeleton, Tissot’s innovation is definitely present. It is what makes it even more special. Indeed, this pocket watch is Tissot’s first savonette to bear a stunning skeleton movement at its core. It shows the inner beauty and the works that allows it to stand the test of time. This piece will not only please the watch enthusiasts but will also be the most fashionable accessory with its vintage style and great looks.